In a Middle East already aflame, a fresh feud between Saudi Arabia and Iran threatens to complicate most every major issue from the Iranian nuclear deal to the Syrian civil war to global oil markets. These are all U.S. priorities and the Obama administration finds itself staring at another Middle Eastern conundrum. White House spokesman Josh Earnest on Monday called on Iran and Saudi Arabia to exercise restraint and offered mild criticism of both. His language pointed to the difficult position facing the administration. If the U.S. sides openly with its long-time ally Saudi Arabia, it will antagonize Iran, where President Obama has sought to move past decades of relentless hostility. Yet if the White House opts for a balanced approach, Saudi Arabia could take it as an insult, feeling its close relationship with Washington is being sacrificed as part of U.S. outreach to Iran. Saudi Arabia sees itself as the standard bearer of Sunni Islam and Iran regards itself as the defender of Shiite Muslims everywhere. Their sectarian competition has been a fundamental fault line in the Middle East for decades. In broad strokes, the rivalry ramped up dramatically after Iran&apos;s 1979 Islamic Revolution and its efforts to export its brand of radical Islam among Shiites, a minority in the Muslim world that often feels oppressed by the far larger Sunni population. As Iran has sought greater influence, Sunnis have pushed back. The rivalry has only intensified during the Middle East uprisings of the past several years, with the Saudis and Iranians waging proxy battles on multiple fronts. The latest friction comes at a key moment for both states. Iranian President Hassan Rouhani was elected in 2013 with a pledge to open up his country to the outside world, revive the economy and pursue at least limited social reforms. Saudi Arabia&apos;s King Salman ascended the throne just last year and has shown signs of acting in a more decisive manner than his predecessors. His boldest move has been a bombing campaign in Yemen, where the Saudis and Iran are on opposite sides of that country&apos;s war. Syria&apos;s Cease-Fire Talks: This may be the most immediate casualty, with the already slim chances for a truce in Syria now facing even longer odds, according to Ali Ansari, a history professor specializing in Iran at St. Andrews University in Scotland. The discussions set for Jan. 25 in Geneva are now likely to be "delayed, if not shelved," he said in an interview on Monday. Just last month, the Saudi and Iranian foreign ministers both took part in high-level talks in New York on the Syrian war, and U.S. Secretary of State John Kerry hailed it as an important step. But Iran and Saudi are on opposite sides in the Syrian war, one of their main battlegrounds, and will be less inclined to compromise in the current atmosphere. For Persian Iran, Syrian President Bashar Assad is their most important Arab ally and they have propped him up since the uprising against him began nearly five years ago. Assad is an Alawite, which is an offshoot of Shiite Islam. The Saudis, in turn, believe their fellow Sunnis, who make up the majority in Syria, should run the country. The Saudis are part of the U.S.-led coalition and have supported opposition factions in Syria throughout the war. The Oil Market: Saudi Arabia is the world&apos;s largest oil exporter and could cut production to push up prices that have fallen below $40 a barrel, down from more than $100 in the summer of 2014. But Saudi has made clear it&apos;s willing to endure the pain of lower oil prices. Why? According to analysts, at least part of the Saudi calculation is that it doesn&apos;t want to help Iran, which is anticipating the lifting of international sanctions that will allow it resume as a major player in the oil market. The Saudis are betting that their large cash reserves will allow them to hold out longer and retain their current share of the market compared to Iran and other countries that have much weaker economies. If this analysis proves accurate, then oil production is likely to remain high and world prices low. But there&apos;s always the risk that one of the Middle East&apos;s many conflicts could disrupt the flow of oil, cutting supplies and pushing up prices. That hasn&apos;t happened, but the Saudis and the Iranians both export through the crowded waterways of the Gulf. Iran Nuclear Deal: The early signs on the deal between Iran and six world powers have been mostly positive. Iran has been scaling back its nuclear program at a pace that exceeds what many expected. The country could meet the targets as soon as this month, which would trigger "implementation day," meaning many sanctions would be lifted and Iran would start to get some $100 billion in oil revenues that has been withheld. However, Iran has also staged ballistic missile tests, arguing this is not part of the nuclear deal. This has prompted critics of the nuclear pact to renew their objections. And Saudi Arabia, along with Israel&apos;s government and conservatives in the U.S., have been the leading opponents of the deal. They may not be in a position to derail it. But even if the agreement stays on track, it may not build confidence if other disputes in the region keep tensions running high. Many Iranians have high hopes that end of sanctions will improve their quality of life. But if that doesn&apos;t happen, the deal could then be blamed for ongoing problems. Domestic Politics: The Saudi and Iranian actions can also be viewed through the lens of their own domestic politics. 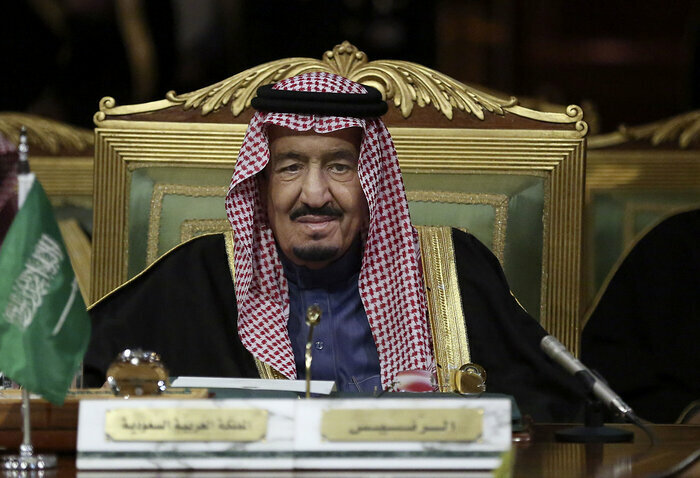 Saudi Arabia&apos;s execution of 47 people on Saturday was, in many Saudi eyes, part of a crackdown of domestic extremists who could potentially threaten the monarchy. In Iran, hardliners are preparing for parliamentary elections next month against moderates allied with President Hassan Rouhani. 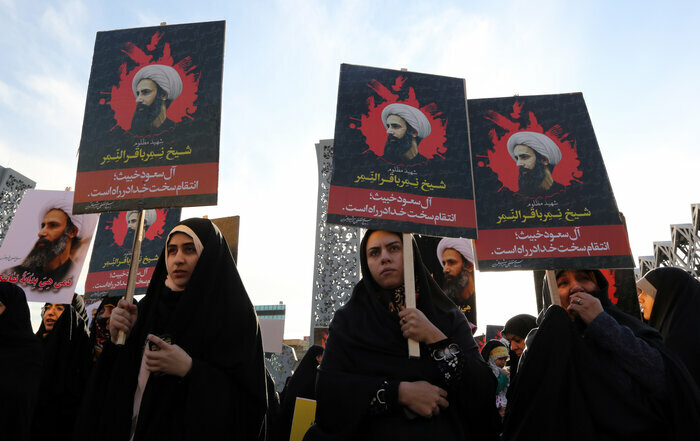 The hardliners seized on the Saudi execution of a prominent Shiite cleric, Nimr al-Nimr, as a way to whip up support among their supporters at home. "The biggest losers in the last 24 hours are Rouhani and the moderate wing in Iran," says Salman Shaikh, the former head of the Brookings Center in Doha, Qatar, who now runs a private consultancy. Hardliners are hoping to make big gains in the elections and block Rouhani and other moderates from promoting reforms, he added.